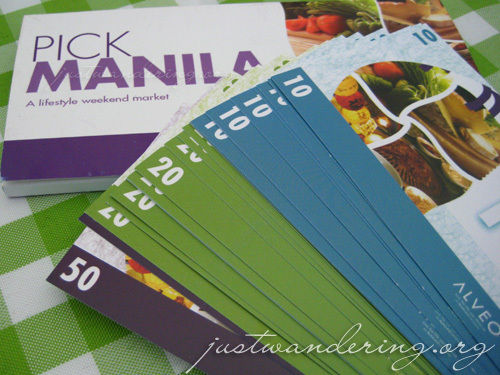 There’s a new weekend market in town, and it’s right in the heart of Manila. Every Sunday this September, Celadon Residences brings us Pick Manila, a collection of food and lifestyle mini stores right outside SM San Lorenzo. Similar to Salcedo, Legaspi, and the Lung Center markets, Pick Manila showcases goods that you wouldn’t usually find in the malls. 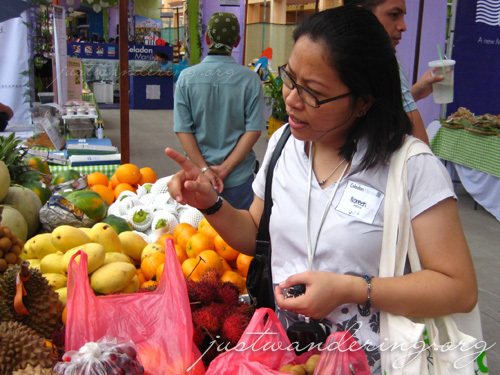 There were fresh fruits, dried fish, handicrafts, and even hard to find books. My favorite picks in the Market are the Italian soda (flavored soda, Php 50 each), yakisoba (fried noodles, Php 20), and takoyaki (octopus balls, Php 20). The one that intrigued me the most though, was this stall that sells organic rice and noodles. The noodles are similar to dried pancit canton noodles, but it was flat, like fettuccini and comes in different flavors: ampalaya, squash, etc. Best of all, these healthy products are all made in the Philippines. celadon? near san lazaro? really? wow, i can’t wait to see it. heehee. The 2008 Philippine Blog Awards is upon us!